I spend a lot of money on groceries each week (don’t we all?) and, while I like to save money wherever possible, there are some products I’ll scrimp on, and others I won’t. Like many parents, I’m concerned about things like added sugar, salt, chemicals, antibiotics and hormones in my food; certain items (especially produce) I try to buy organic for added peace of mind. 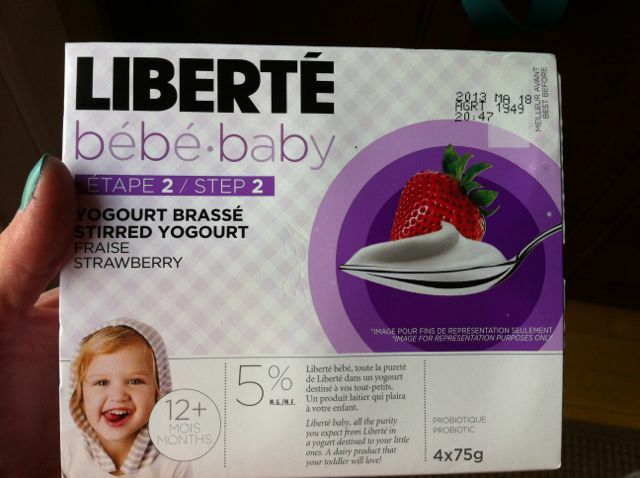 I had a few coupons to try this new product and was surprised at how yummy – yet relatively low in sugar – it is! 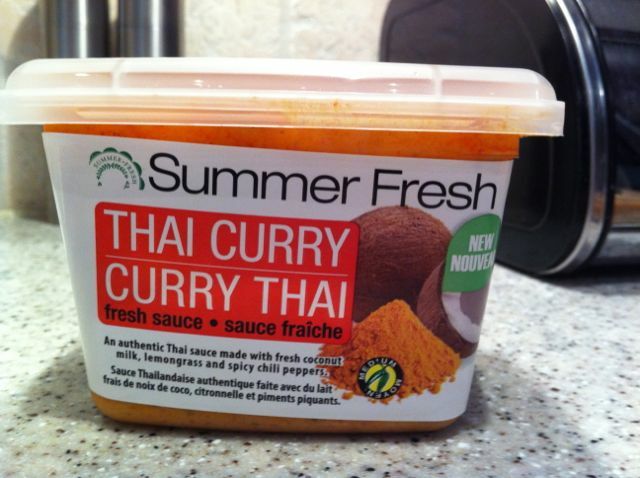 My 6 year-old requests this for her school snack almost every day now – what a coup! And, I can feel good about knowing it’s not only a healthy option, but – unlike almost every other yogurt out there – the single-serve containers are recyclable. That is HUGE in my books! LOVE THIS! If I could eat bacon every day, I would… I love it that much. But, as with most things, moderation is the key. 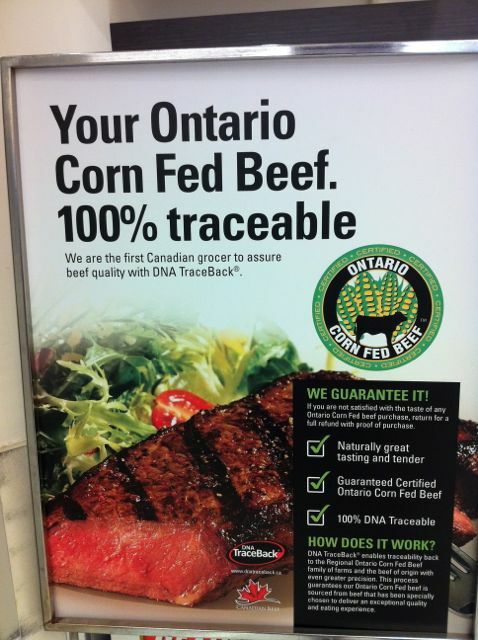 So when we *do* eat it, I want it to be good quality. 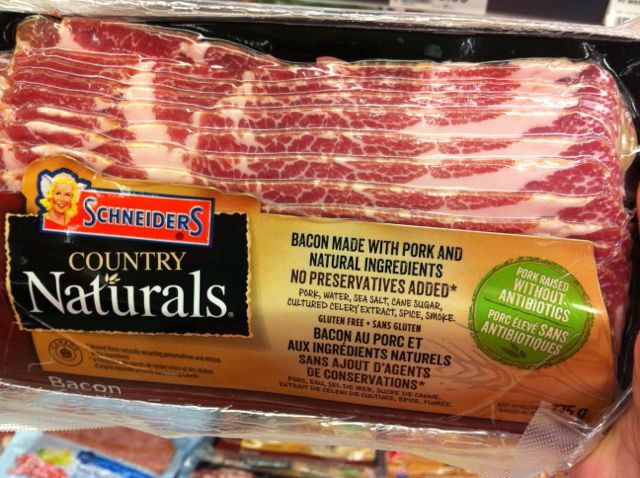 I’ve been impressed with all of the Country Naturals products I’ve tried so far, but am really impressed that Maple Leaf went so far as to make their bacon antibiotic-free. I will be buying this from now on! I love Summer Fresh. It’s true… every product that I’ve ever tried from them is knock-your-socks-off, 5-star AMAZING. (The product that got me addicted? Artichoke & Asiago dip!) It’s kind of strange, because I’m actually convinced that each new product I try won’t *quite* live up to the last… but I’m wrong. The fact that they are easy on the waistline is nice, but in general, I eat them because they taste so darn good! 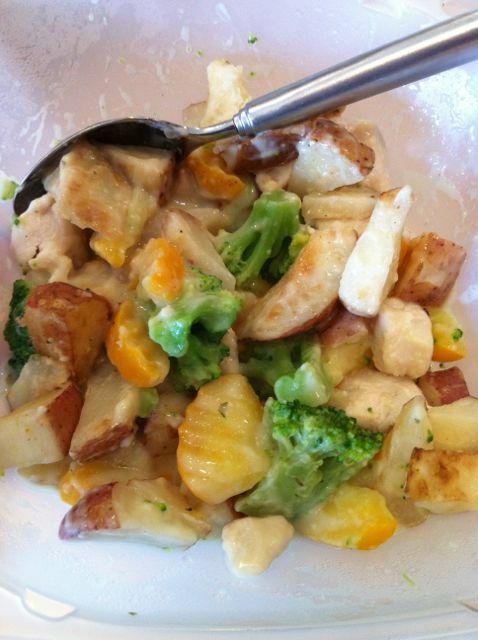 I really like how the veggies stay crisp and there’s a good amount of meat or shrimp – they don’t skimp on the good stuff! (In case you’re wondering, my favourite is the Chili Lime Beef.) Shown at left, Roast Garlic Chicken. As mentioned above, this is not a sponsored post – I simply love sharing great finds with my readers. Let me know if you try any of these products and, if so, what you think of them! I just recently tried the Summer Fresh Roasted Red Pepper dip – YUMMMy! Oh my, MTM… I could go *on* about the dips. They are probably the reason I've gained a few pounds over the summer!! LOL They're so good, though! I have to second the recommendation for Country Naturals products. I have started buying them recently and we love them all! Thanks for sharing, Amber… they are really delish, aren't they? And, they're products that you can feel good about serving your family!